I used to be utterly obsessed with Lush, but during the last year, their products have gradually creeped up and up in price and therefore haven't been something I could regularly afford. However, I recently spotted some new Spring releases and seen as I was poorly throughout Christmas, I felt I deserved a treat. Firstly, I chose the Love Boat (£4.50), which has been out before, but has been re-released for Valentine's Day. 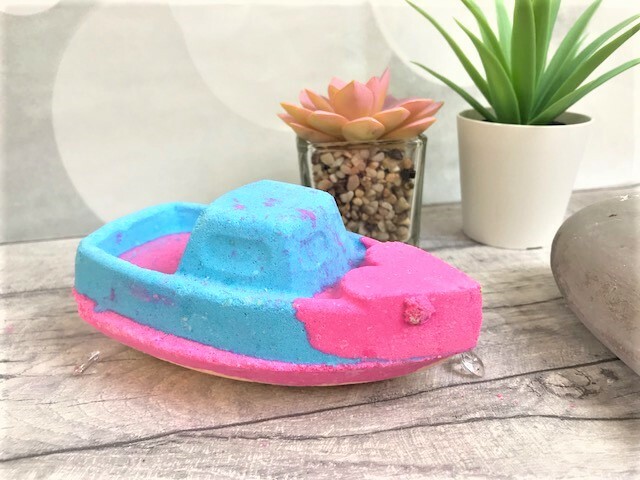 Love Boat is a a bath bomb and is a fairly good size and I adore the bright pink and sky blue colours. 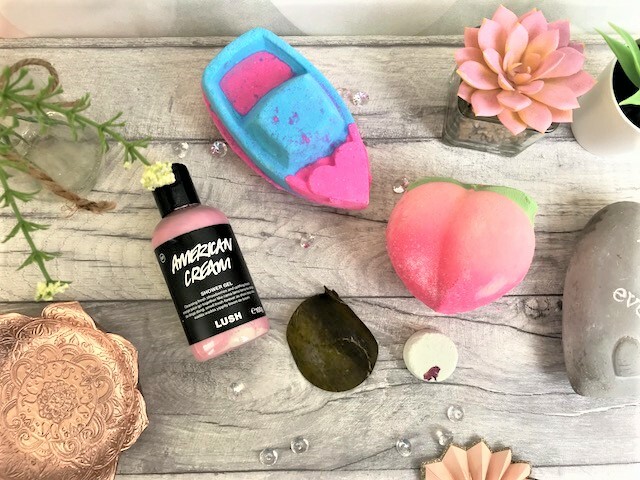 The Love Boat contains uplifting and cleansing Sicilian Lemon Oil, balancing and restoring Rose Oil and refreshing and toning Organic Sweet Orange Oil. The scent is quite a sweet and fruity scent, and once dispersed into the bath water, it gives off lots of bright colours and plenty of glitter. The other bath bomb I chose was the delectable Peachy (£3.95). 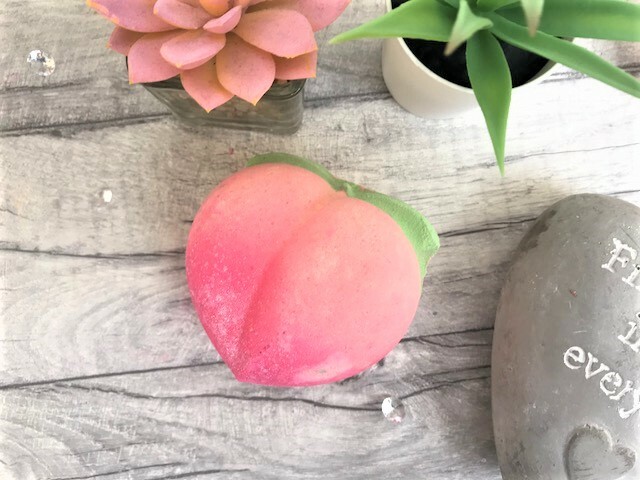 It is a 3D bath bomb which looks just like a peach, and even the ombre effect leaves it looking very realistic. Peachy contains gentle and cleansing Fresh Peach Juice, uplifting and refreshing Grapefruit Oil, strong and fruity Davana Oil and uplifting and balancing Elemi Oil, so your skin is in for such a treat. 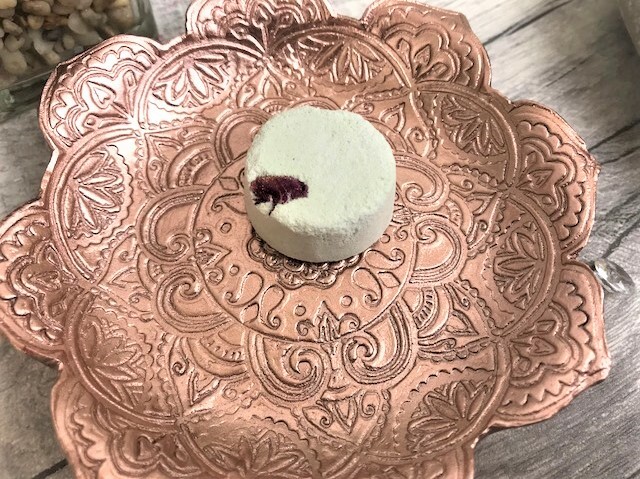 Once dropped into the bath, Peachy leaves you with lovely pink and orange water and a hint of silver sparkle, and of course leaves your skin smelling divinely peachy. As a long-time Lushie, Snow Fairy Shower Gel was always my go-to, but I fancied a change and thought I would try out American Cream Shower Gel (£5.95 for 100g). I do think for such a small bottle, this is quite pricey compared to what you can get elsewhere, but as mentioned this was a treat purchase. 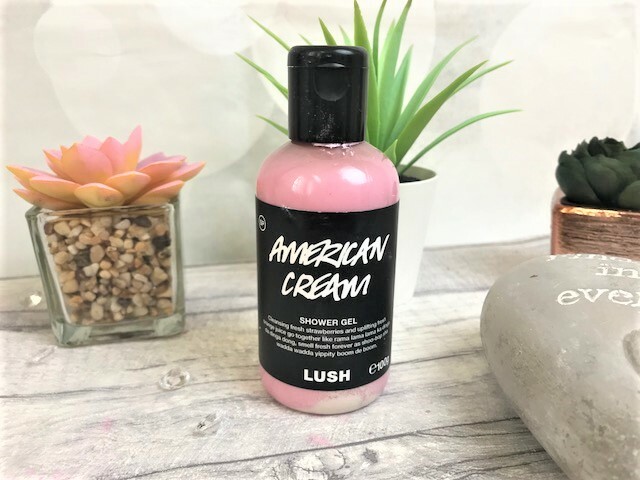 American Cream is described as 'Cleansing fresh strawberries and uplifting fresh orange juice go together like rama lama lama ka dinga da dinga dong, smell fresh forever as shoo-bop she wadda wadda yippity boom de boom', which I found far too cute not to include. It really does smell incredible, and smells sweet without being sickly. It is pink in colour and as it has quite a thick texture, you don't need lots of product at once. The final product I ordered was the Lush Mortal Kombu Under-Eye Mask. I can no longer find this on the Lush UK website, but maybe it will come back into stock. This very thing, small product is a waste-free mask which treats under-eyes. You simply soak it in warm water for a few minutes to allow the seaweed to thicken and then gently tear along the perforation line so it is in two halves, which you then place underneath each eye and leave on for around ten minutes. Mortal Kombu is cut from mineral-rich kombu seaweed from Japan and is infused with antioxidant-packed green tea to protect and rejuvenate and it feels very soothing on the eyes. When I received my order the Mortal Kombu was missing and so I spoke to Lush who arranged a replacement to be sent out right away. They also very kindly sent me an extra product - way to go Lush customer services! The product Lush sent me was the Dream Steam, which I haven't tried before. Dream Steam is a toner tab and retails for £2 and it has blown my mind. So basically you pop the toner tab into a bowl of how water and the tab then starts fizzing away. Lean over the bowl and let the steam rise, opening up your pores and cleansing the skin, and afterwards, the water can be left in the fridge for a couple of days to be used as a fresh toner. 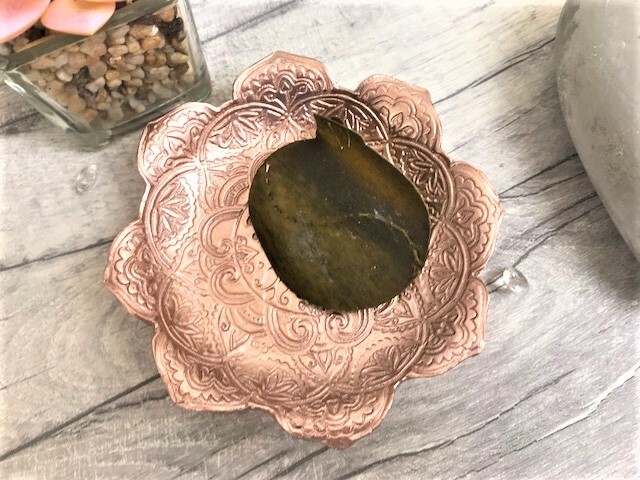 Dream Steam contains rose absolute to help calm the skin and reduce any redness, along with chamomile blue oil which is really gentle and soothing on the skin and then tea tree oil for its antibacterial properties. I really enjoyed using this product, especially as at the time I had a dreadful cold and my skin had been feeling so dry. I will definitely be purchasing this myself. You can find these goodies and more in store and online at Lush UK.